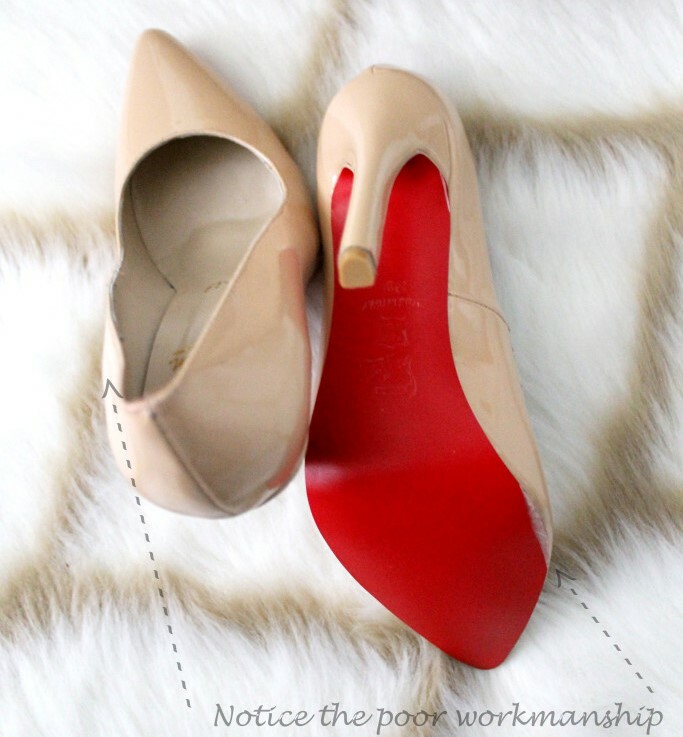 Christian Louboutin red soles are a statement of class and distinction. In this day and age it’s quite difficult to look at photos from the latest award shows or movie premieres (or just a typical night out in Dubai!) and not see a Christian Louboutin on the feet of at least several fashionistas in attendance. But it’s sometimes hard to determine whether the pair of shoes you are buying are genuine or not. If you want to be absolutely certain, go to the Christian Louboutin boutique. Today, it seems as though there are many individuals that are trying to mimic the iconic designer shoes of Christian Louboutin. With his eye for incredible design, texture, fabric, and of course his infamous red sole, who wouldn’t want to be the next Christian Louboutin? To ensure you don’t fall victim to one of these scammers, here’s a guide to help ensure you’re purchasing the real deal. 1.Let’s start with The box. 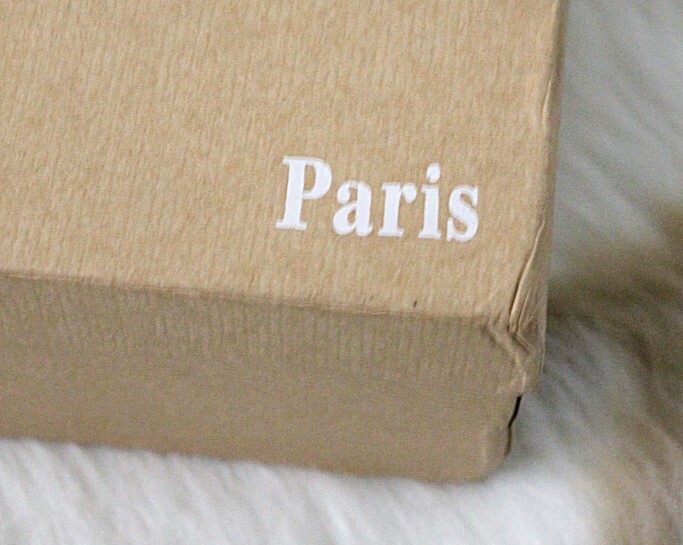 Normally the the box should have the name ‘Christian Louboutin’ with ‘Paris’ printed below it. The placement and font of the logo are two very important aspects of the box. The authentic box will have the Christian Louboutin name and ‘Paris’ written in the correct font and centered on the lid. 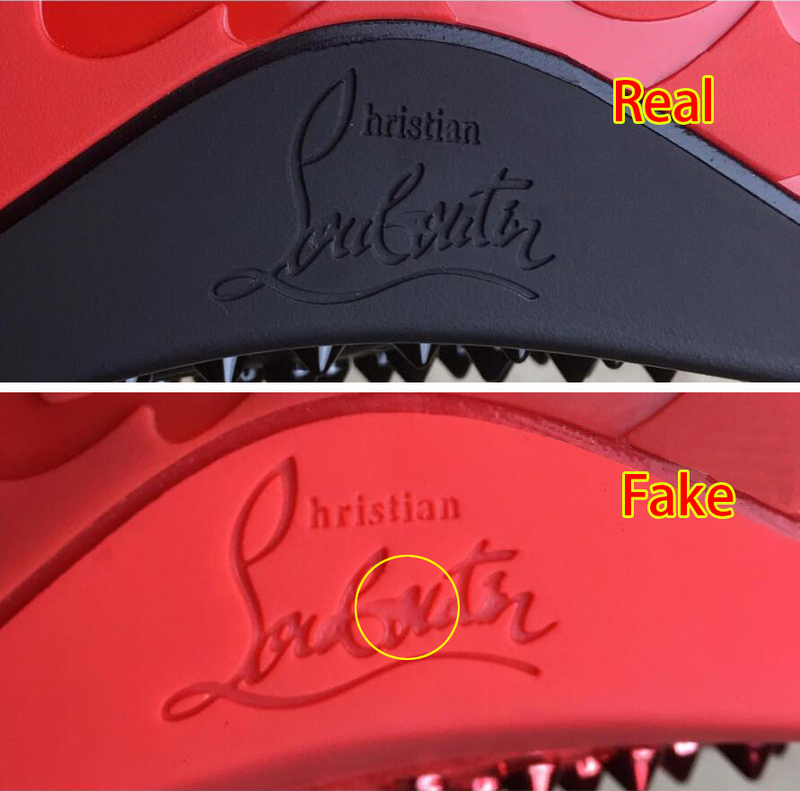 Authentic boxes will have a sticker with the style name, European size, barcode and Christian Louboutin Logo whereas the fake box does not have any of these details. As seen in the images, the fake box is dented and the cardboard paper is loose, whereas the authentic box is of good quality and the paper is stuck perfectly. 2. Inside the box. 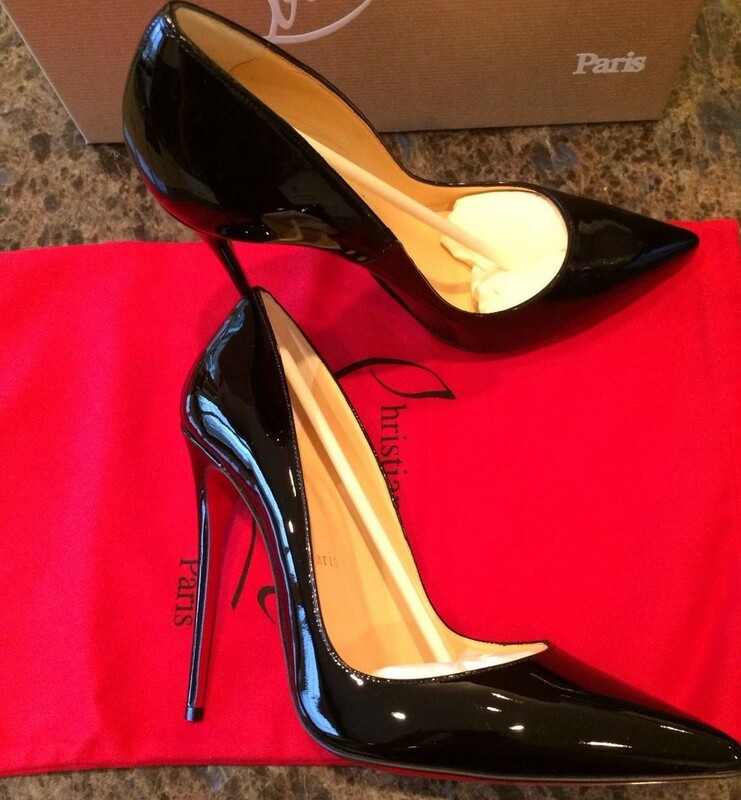 Authentic Christian Louboutin shoes should come complete with a cherry red dustbag, one large or two smaller dust bags, depending on which style you are buying. 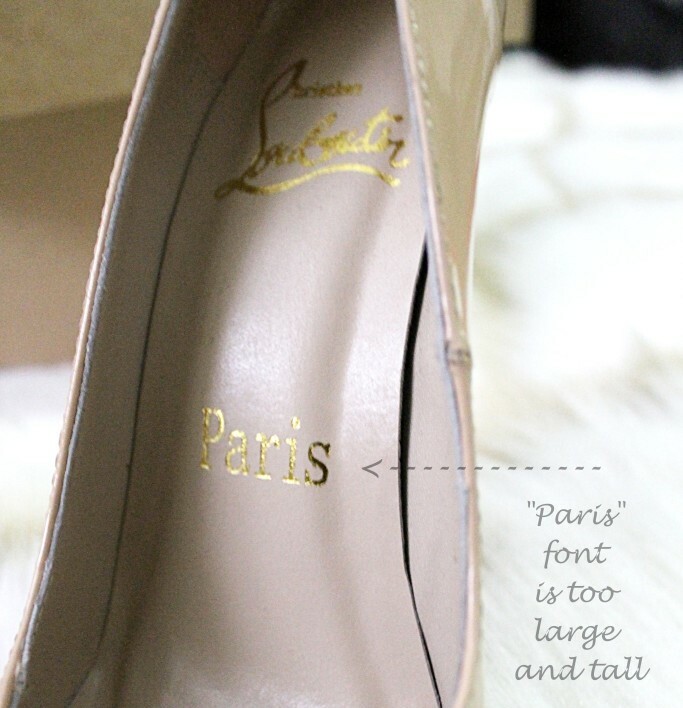 It should have the Christian Louboutin name and Paris printed on it in a straight line as seen on the authentic dustbag image. Fake dustbags most often come in a variety of shades of red save for the trademarked cherry hue. As with the box, it is important to note the spacing, font and placement of the logo on the dustbag. 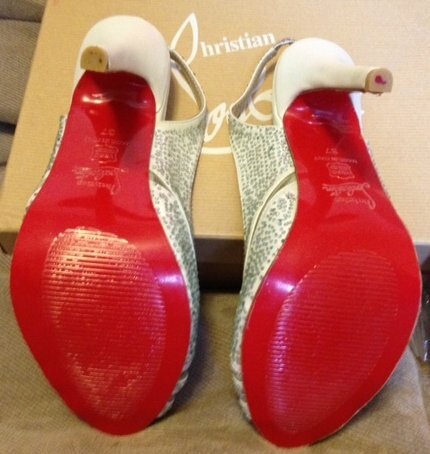 Christian Louboutin shoes are manufactured in Italy and should therefore be of the highest quality. All aspects of the design- from the types of leather, to the stitching to the placement of the embellishments- should be perfect. The stitches should be tight and uniform throughout the shoes. On fake shoes, there may be double stitching or large, uneven stitches. The leather should be of the best quality and shaped perfectly. A telltale sign of fake ones is low quality leather where the uppers look rippled as they do in the fake ones above. 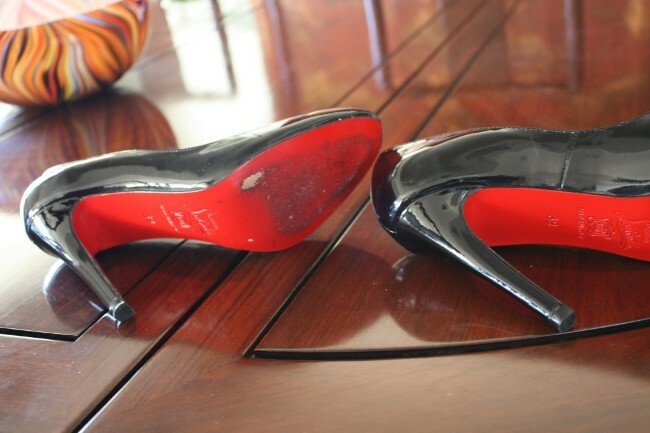 One of the most important aspect to check for a Louboutin shoe is the red sole. 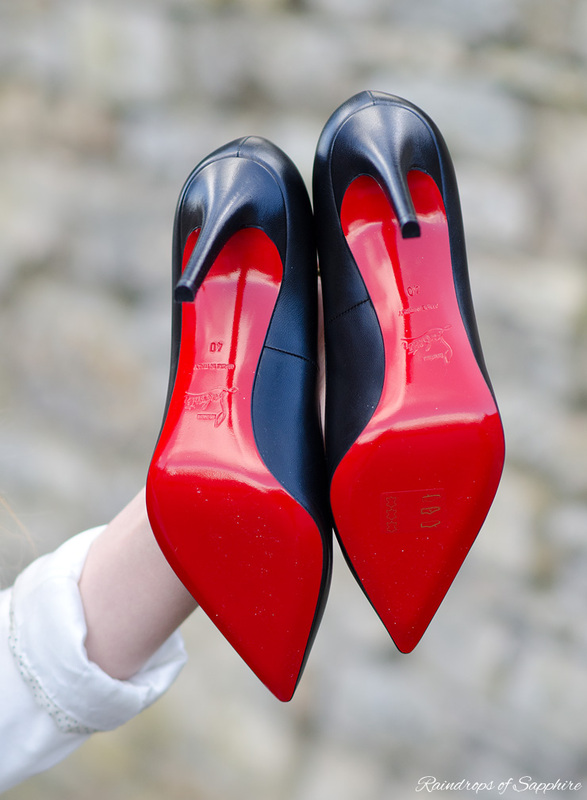 An authentic Christian Louboutin sole is made of leather and is smooth in texture. It’s painted a unique shade of red which makes it very difficult to copy.As seen on the fake images, the red shade is completely different and can sometimes have a pattern on it. 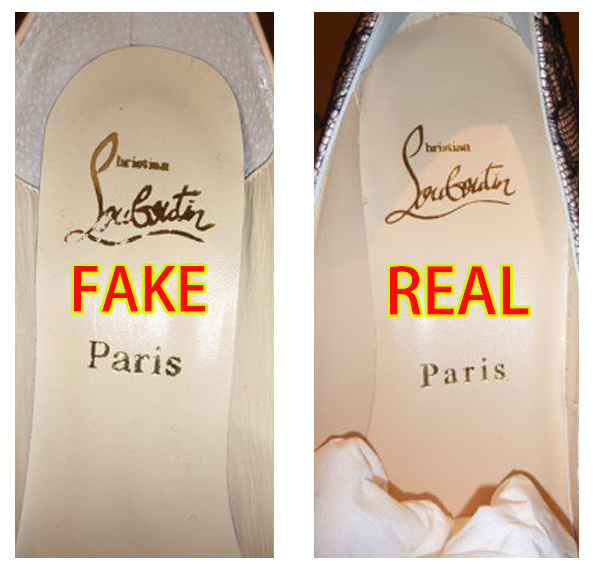 Many fakes have plastic soles even though it says it is made of leather. The logo on the sole should be deeply embossed and not printed. 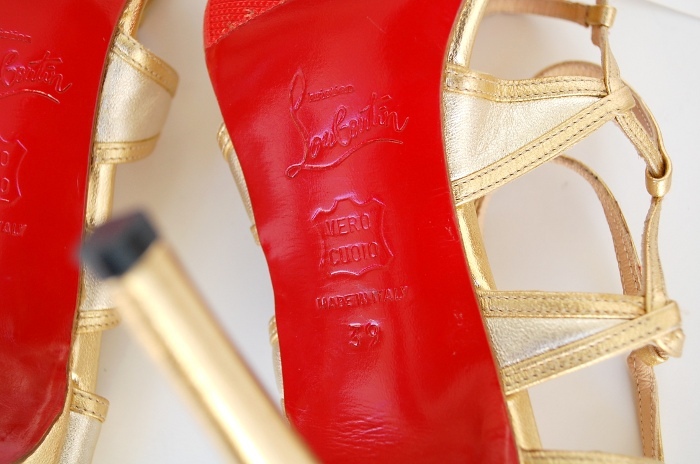 The details that need to be included on the sole the Christian Louboutin logo, ‘MADE IN ITALY’ and the European size ex. 38.